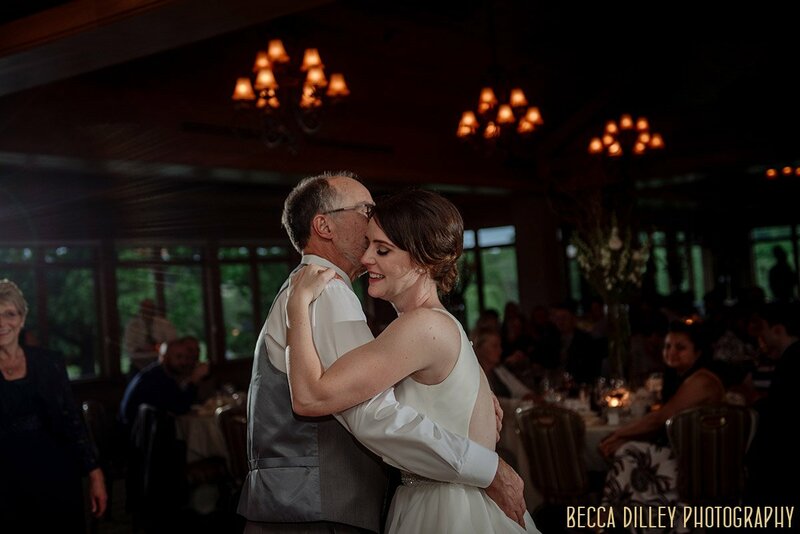 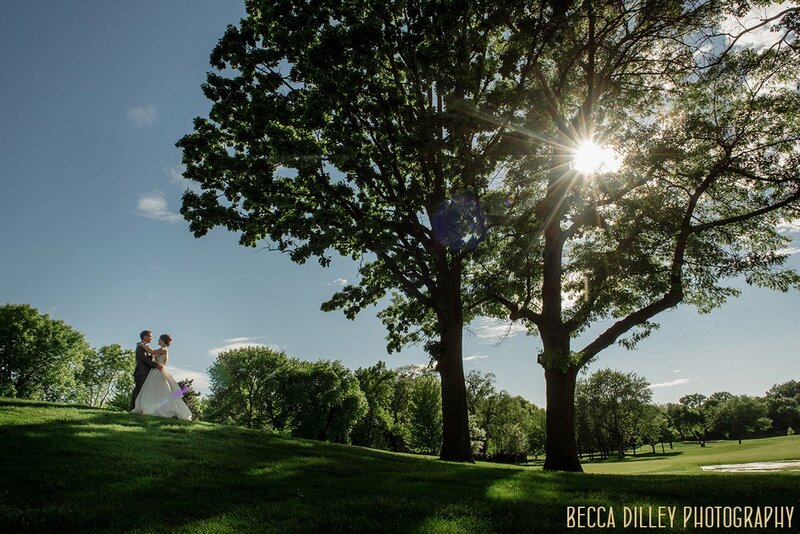 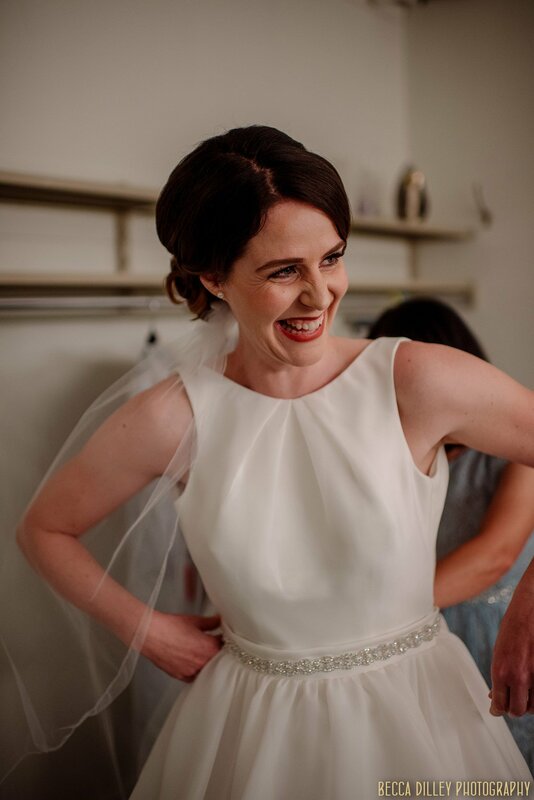 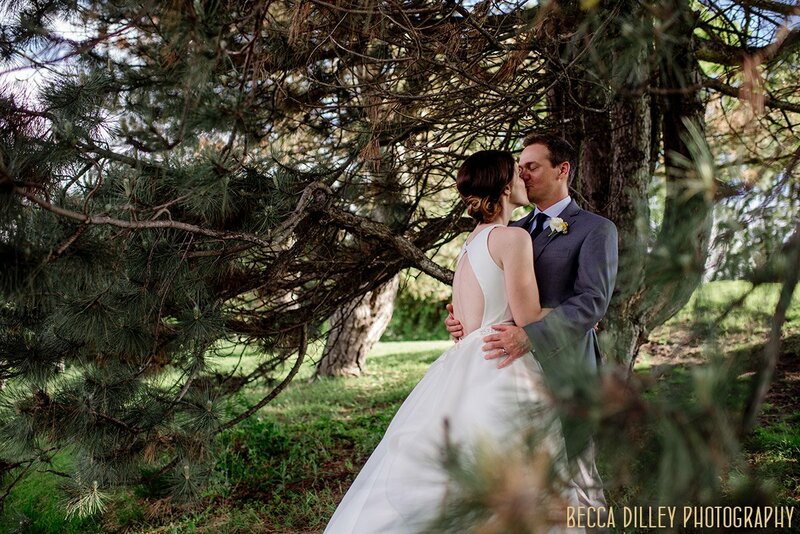 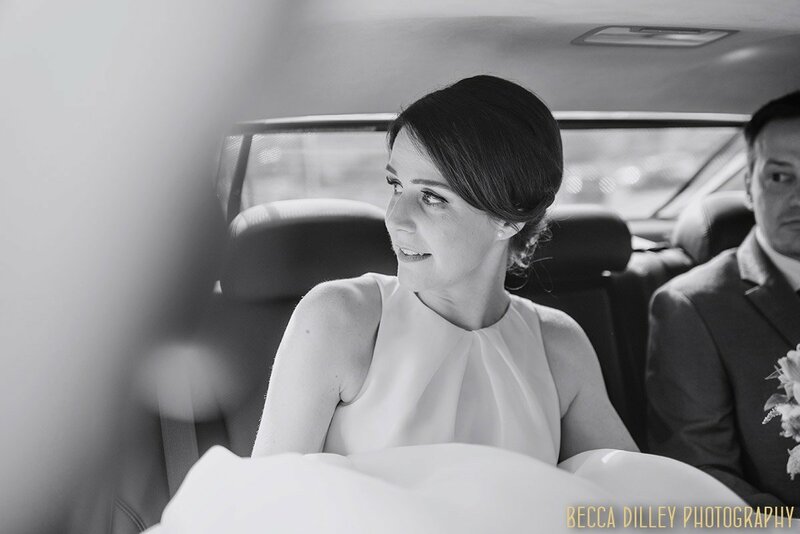 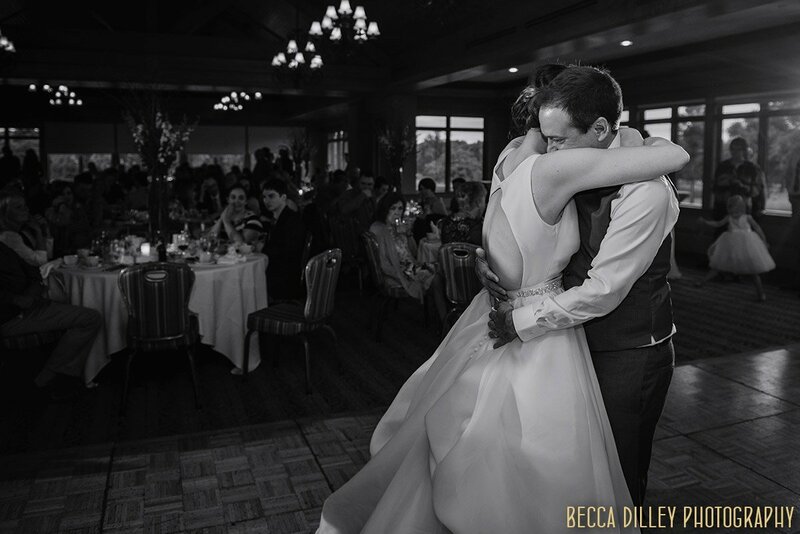 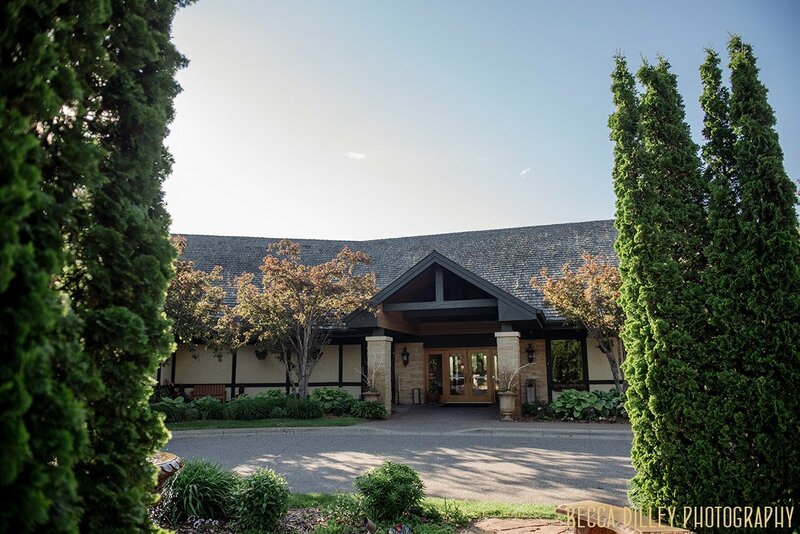 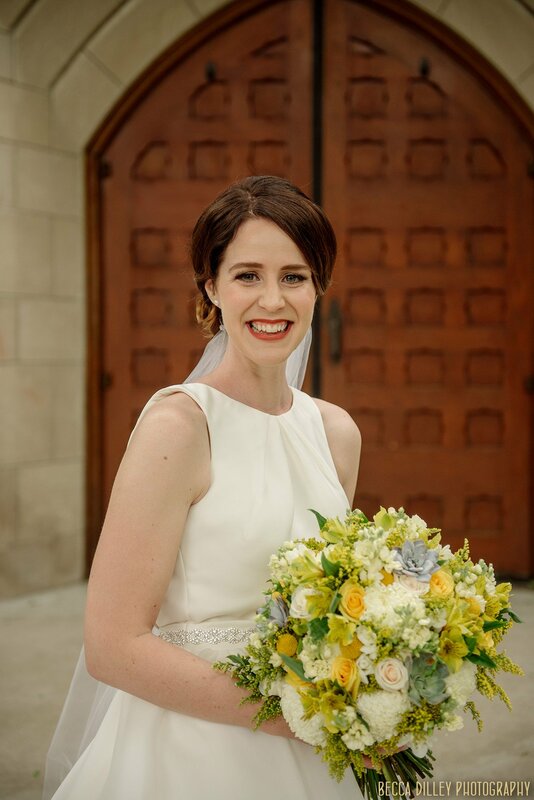 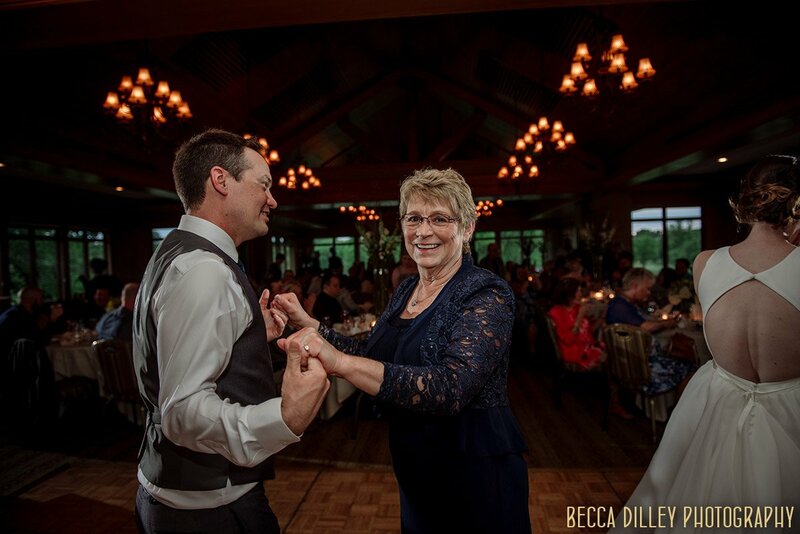 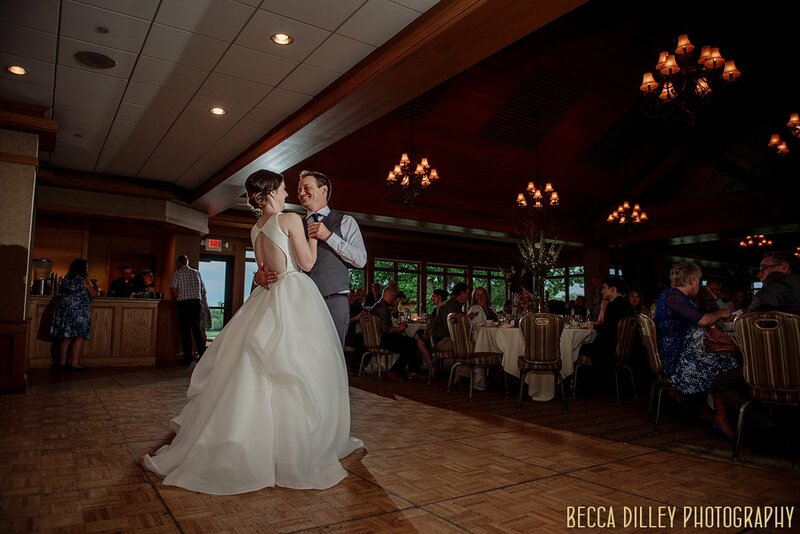 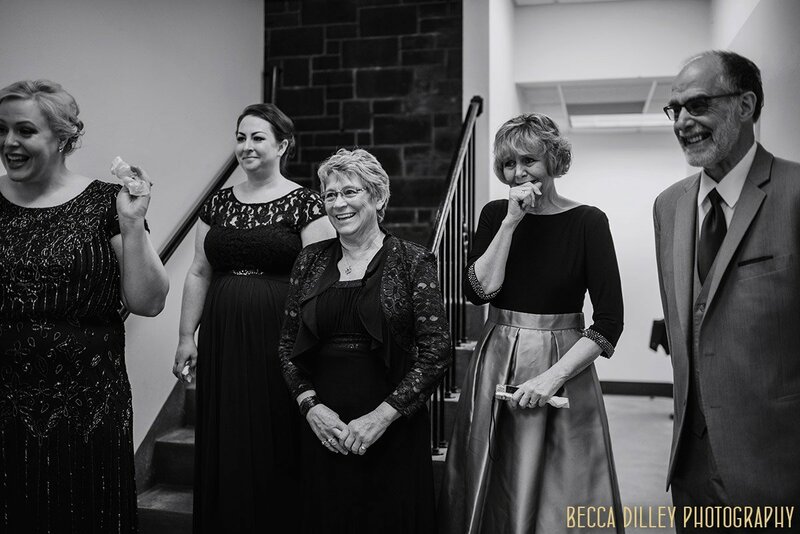 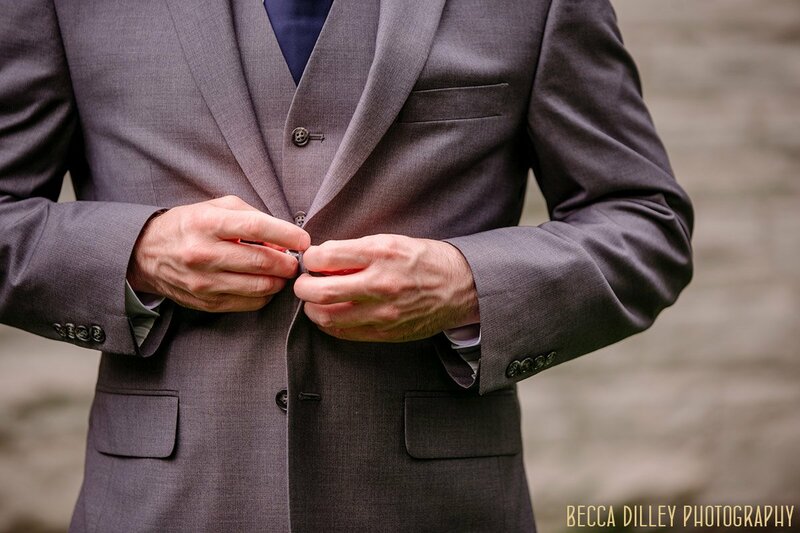 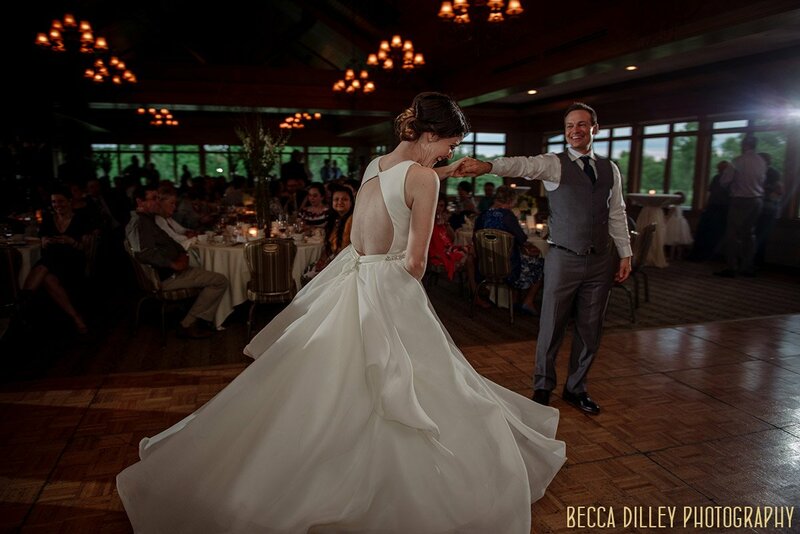 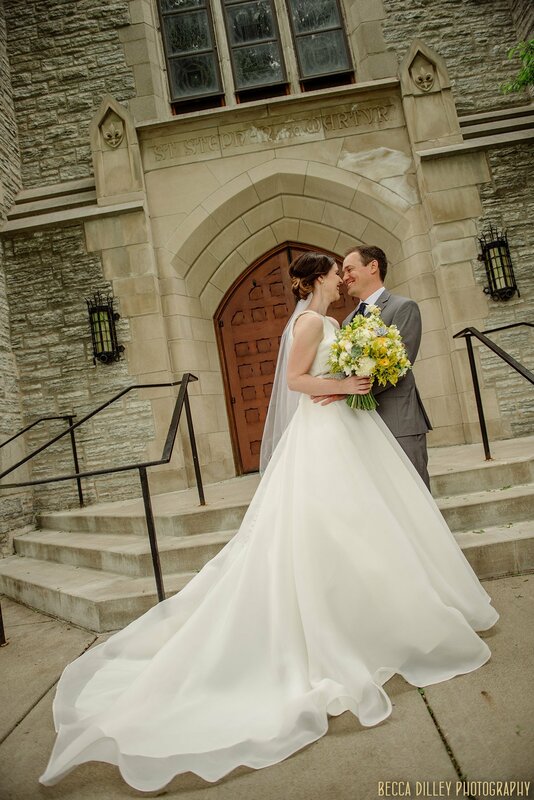 I’m trying a different approach for writing about Bethaney and Adam’s Minneapolis Country Club Wedding – I’d like to add commentary to each of the images almost as stand alone images that, together, tell a greater story of their wedding day. 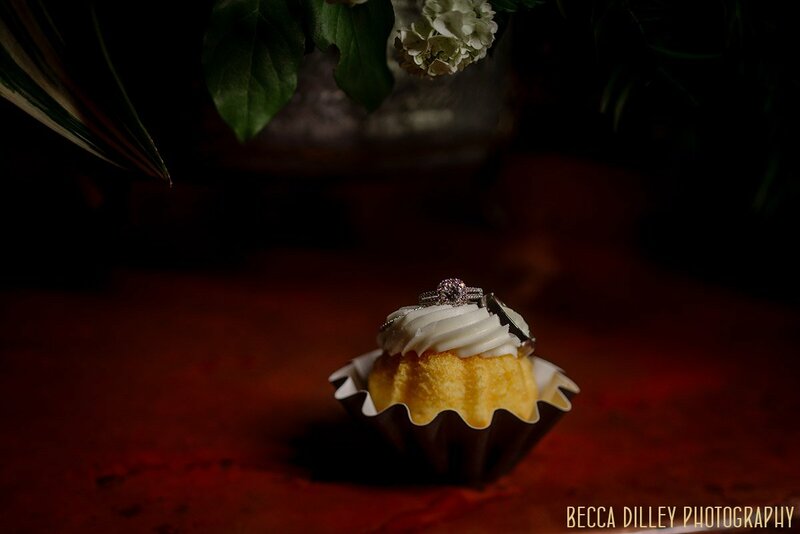 Maybe it’s all the time I spend writing instagram captions, or the internal monologue that runs when I look sort through images for a blog post like this, but I find I want to tell more details. 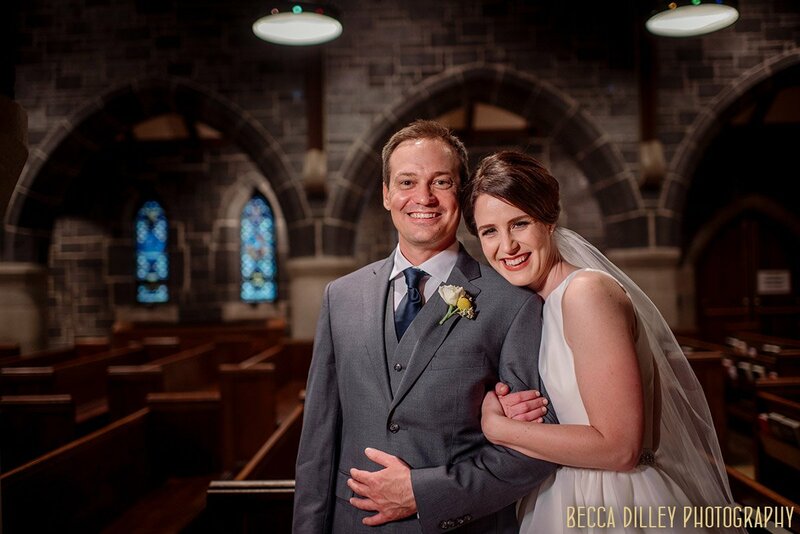 In the meantime, over a year has passed since their wedding – I recently had the pleasure of photographing them again with their new baby girl. 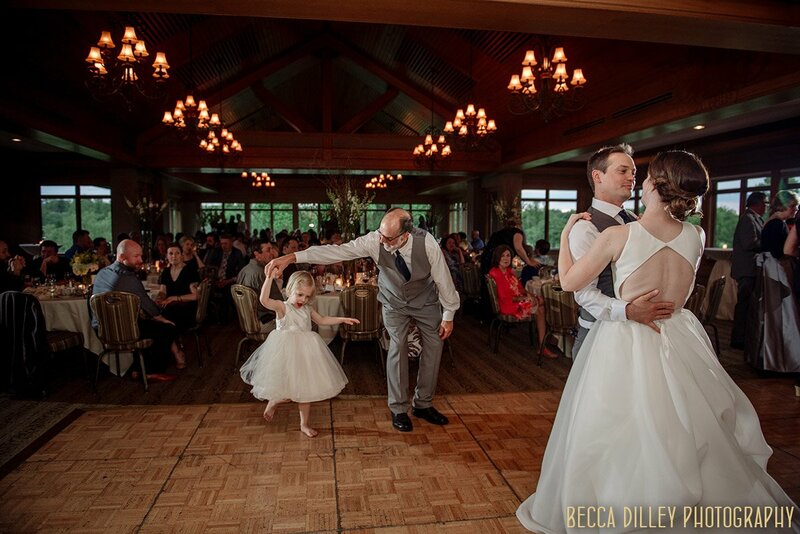 Congratulations on a new generation of happiness in your family! 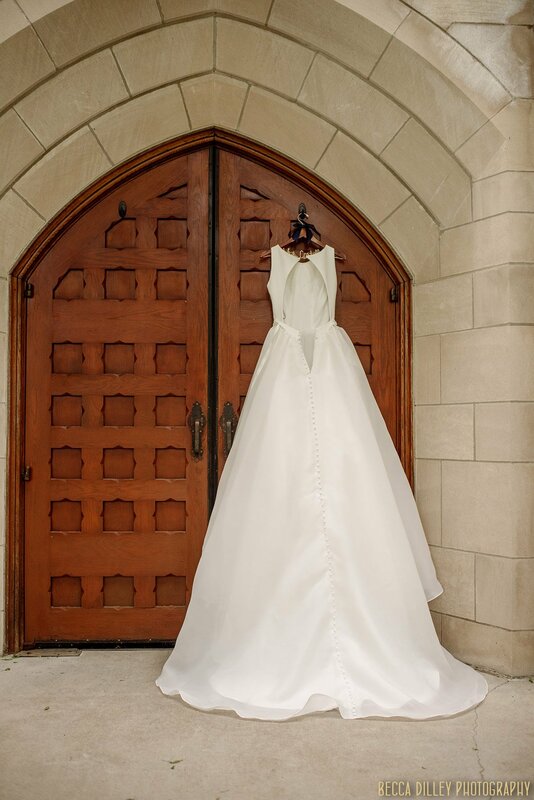 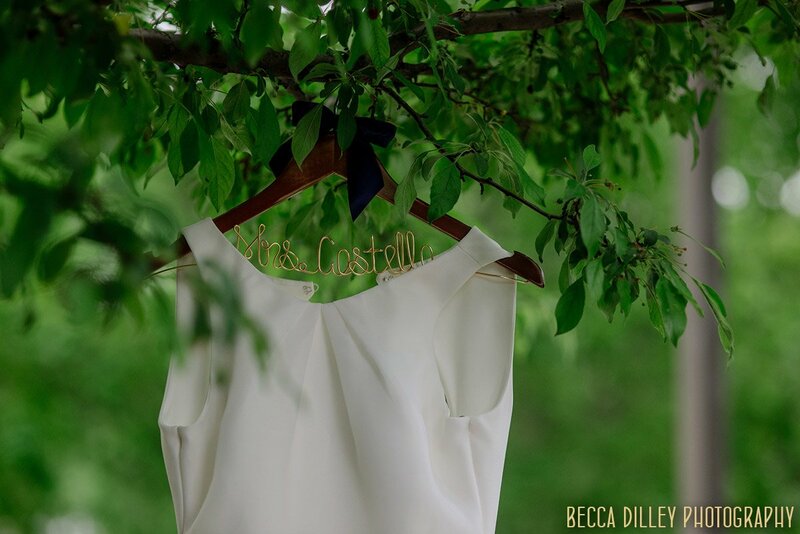 Bethaney had a customized hanger for her wedding dress, and outdoors seemed like the best place to show it off. 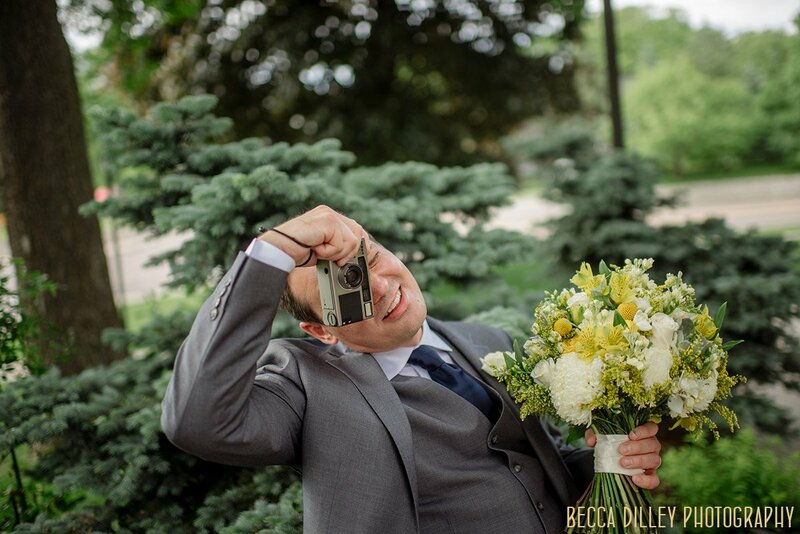 Adam is an enthusiastic photographer, and took several photos throughout the day himself with this old gem of a camera. 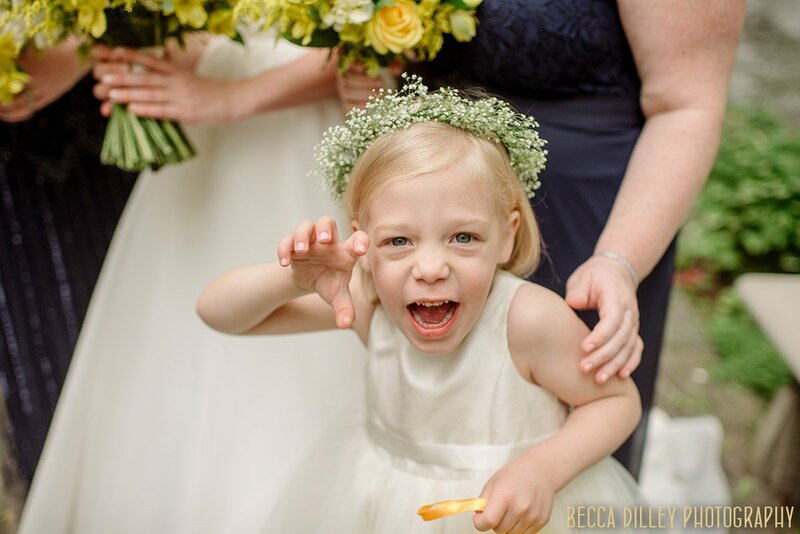 In my opinion, all flower girls should be slightly precocious. 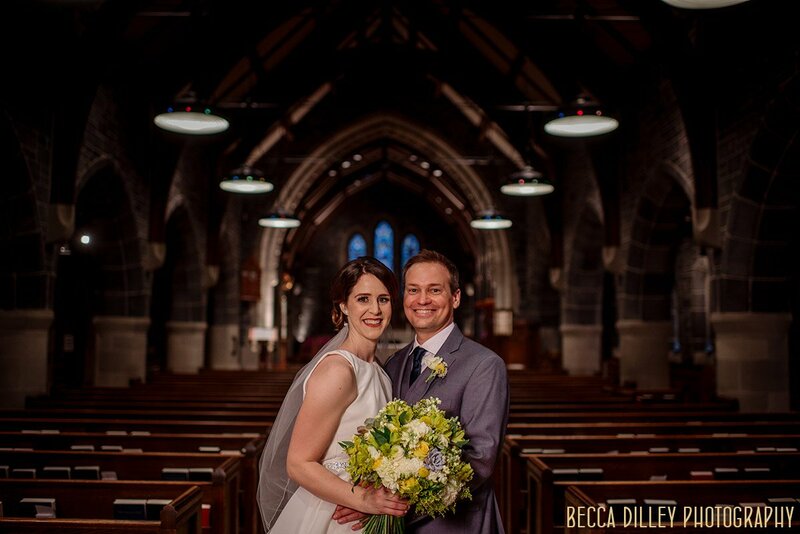 The river was particularly high for Bethaney and Adam’s wedding – threatening to flood the lower levels of the church on it’s banks. 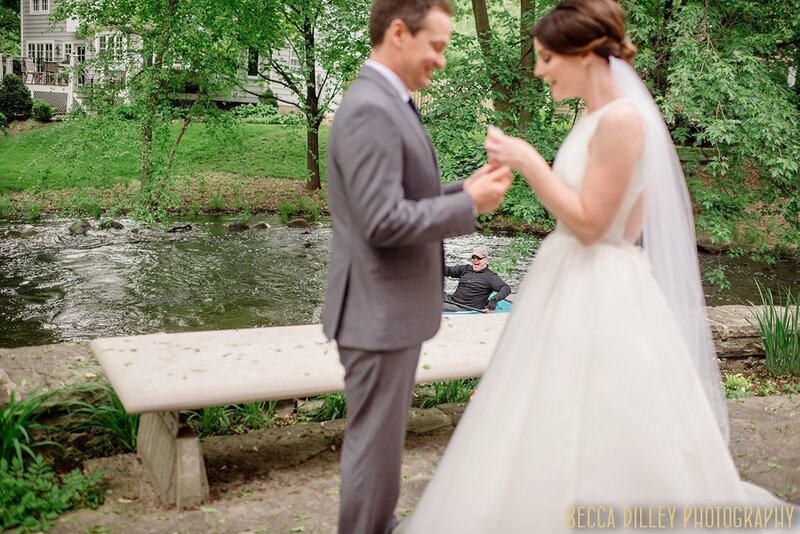 But this intrepid kayaker got to enjoy a first look as well. 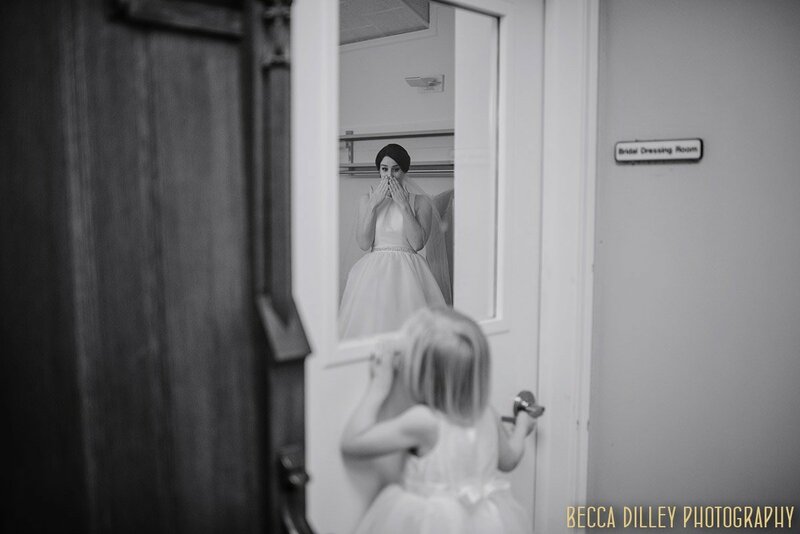 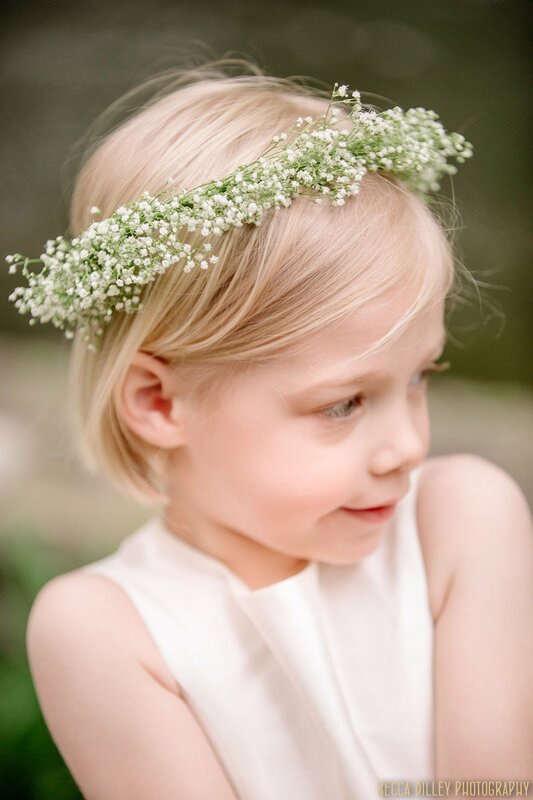 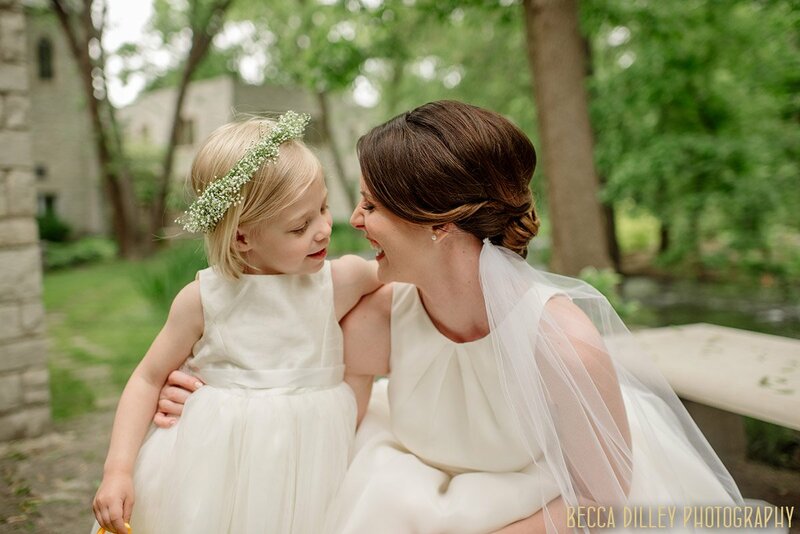 Brides and flowergirls are such a timeless pairing – each admiring the other. 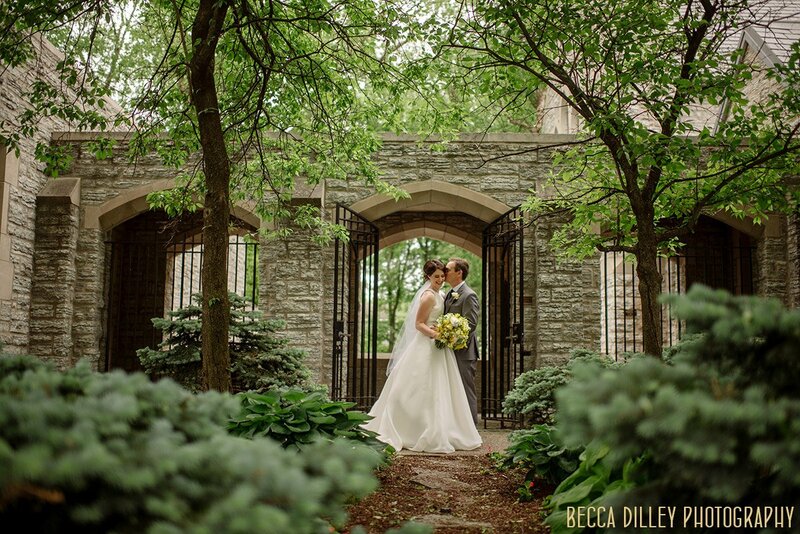 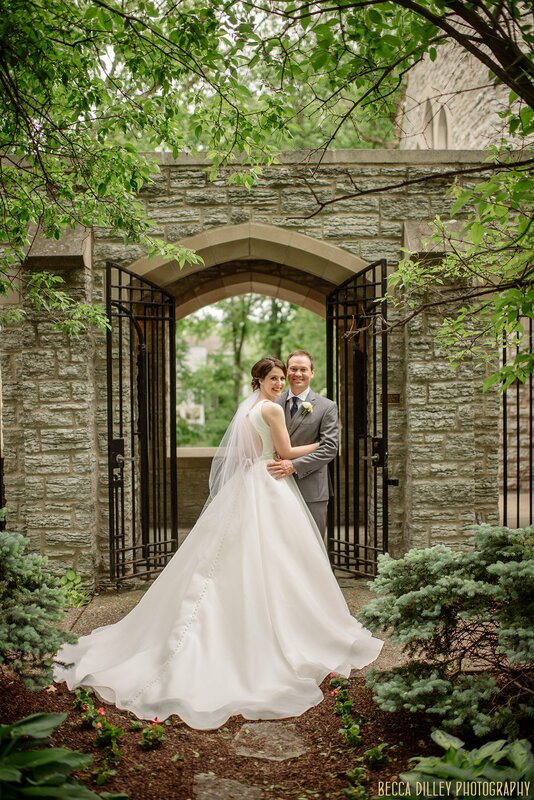 This is one of my favorite photos from their wedding – the garden and the architecture all framing the two of them, so in the moment. 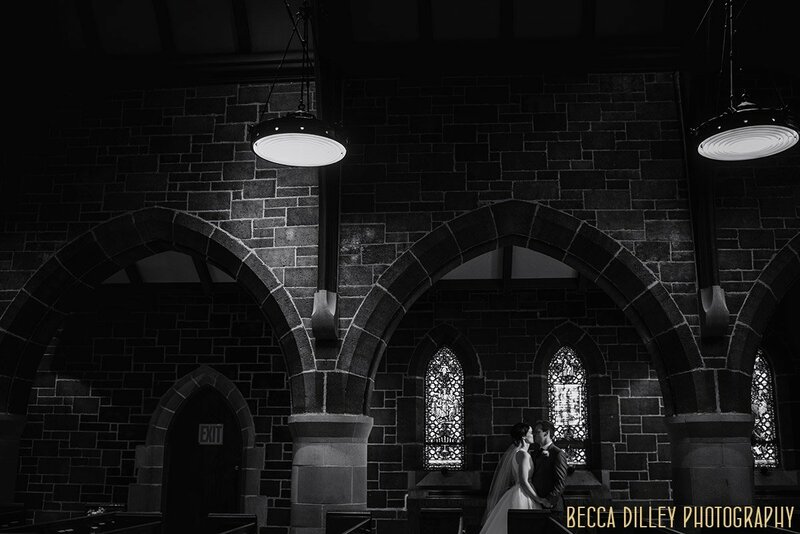 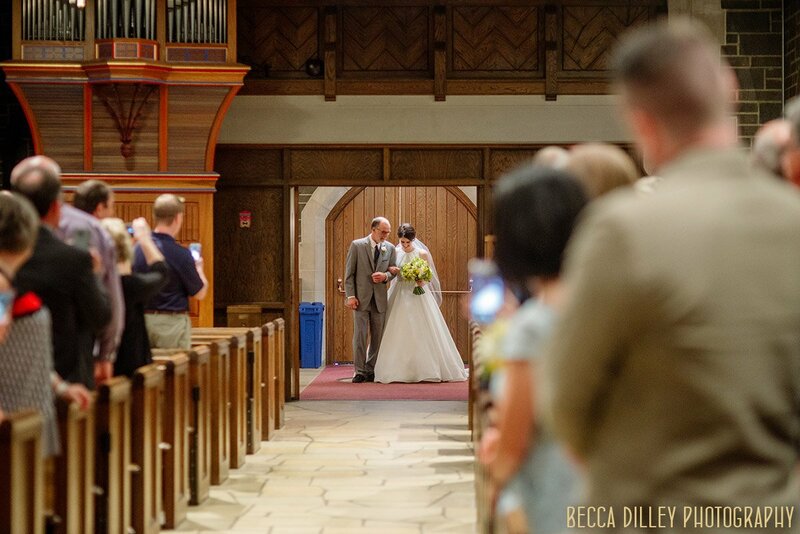 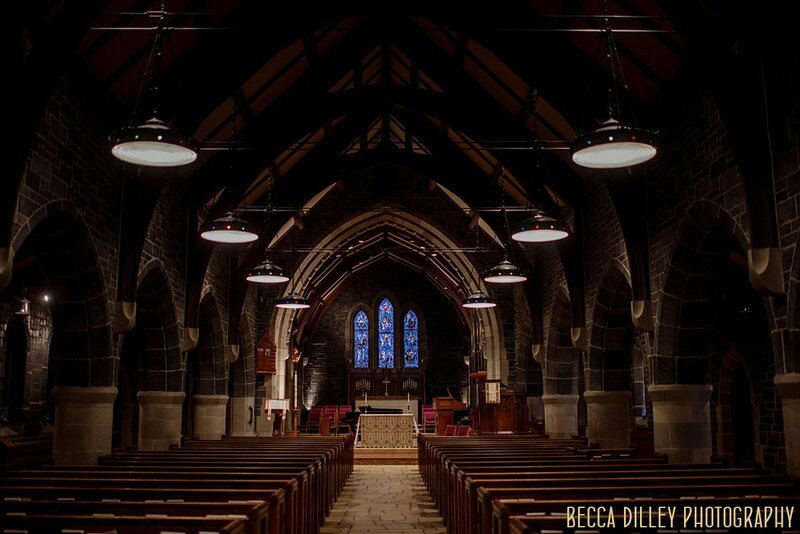 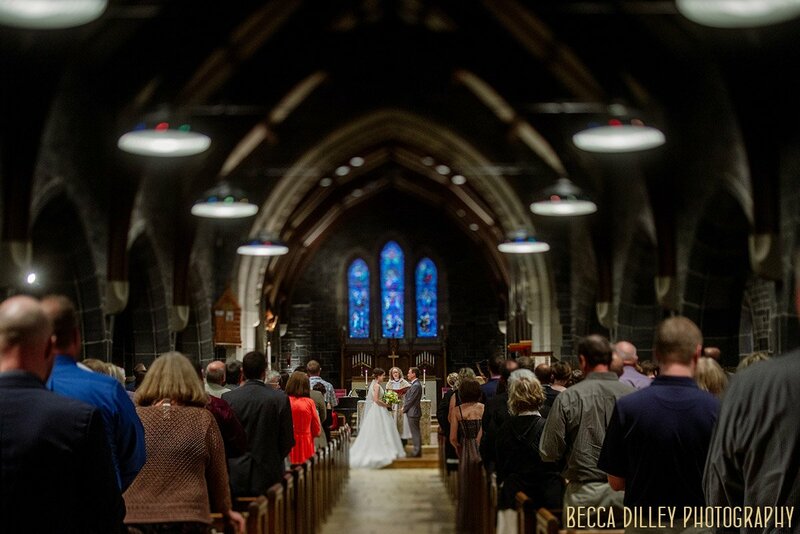 When I’m inside older church spaces, I really like the line from the back of the church looking towards the altar – the line of the pews and the full arch of the ceiling are often more interesting frames for photographs than just the details of the altar. 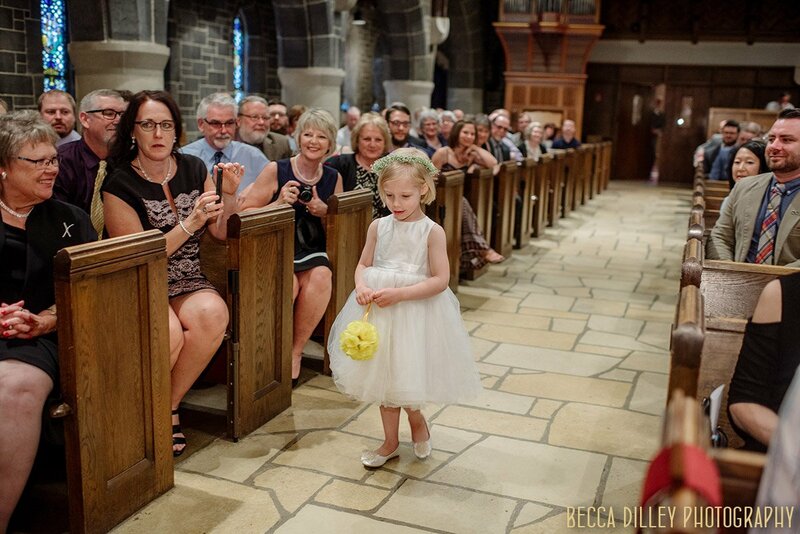 Weddings are about more than the two people getting married – its about generations of family and larger communities. 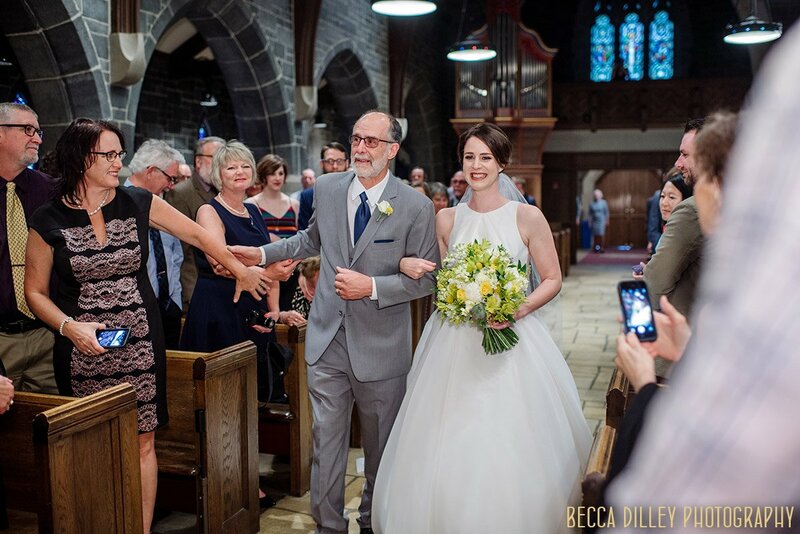 I love the support Bethaney’s dad is getting from his relatives as he walks her down the aisle. 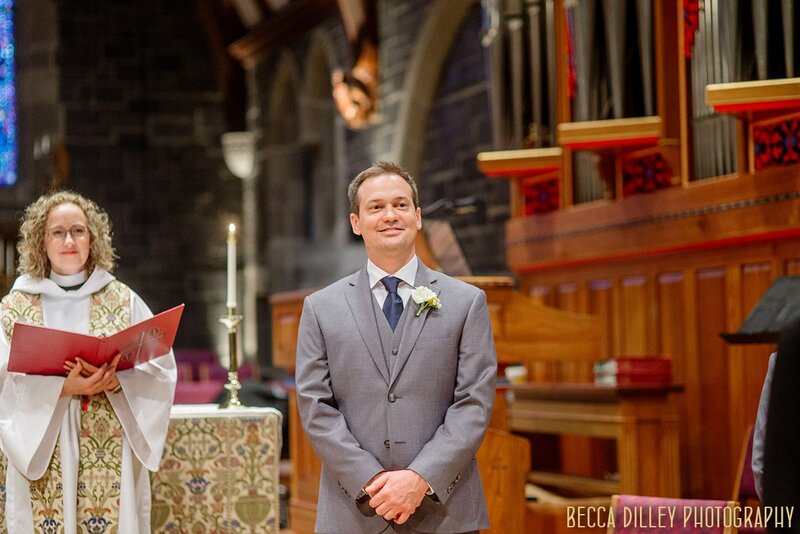 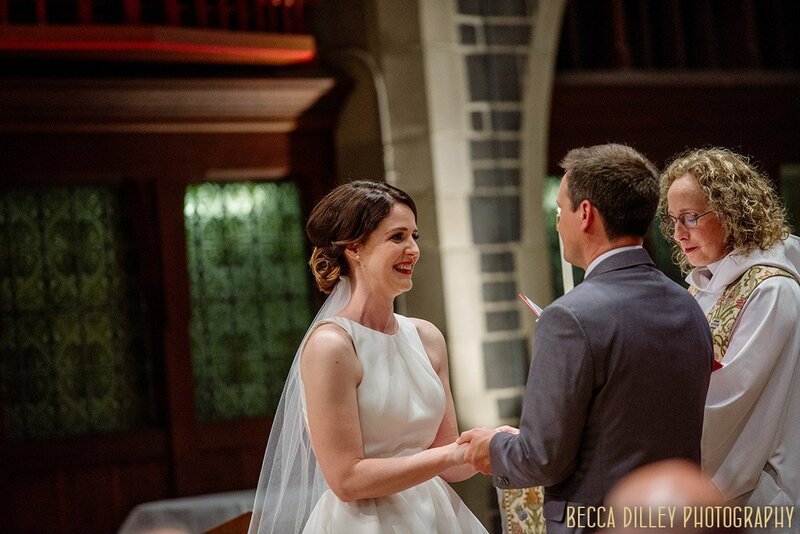 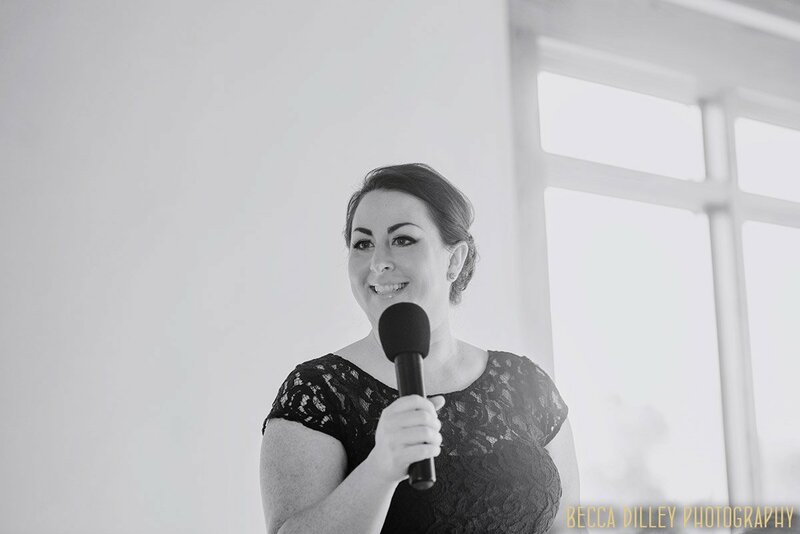 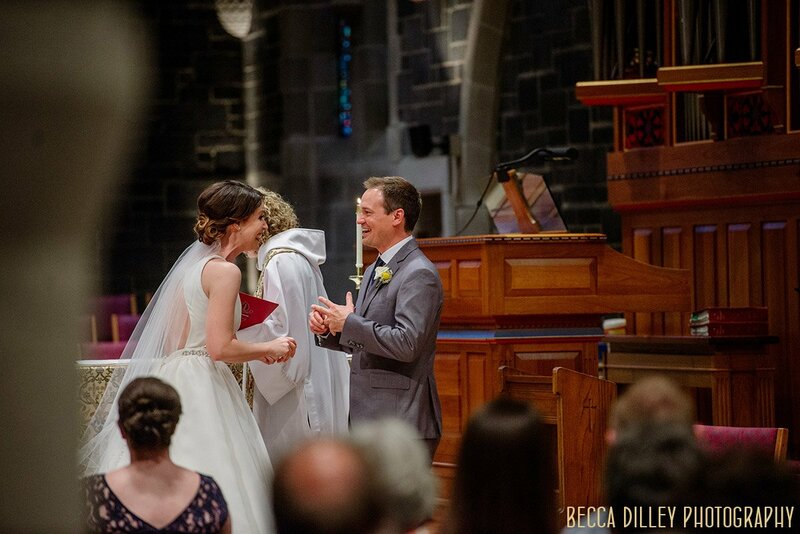 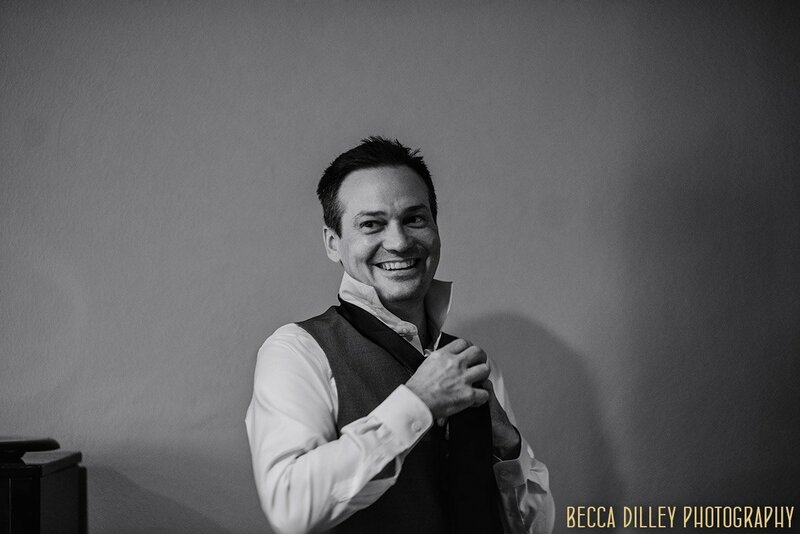 Showing connection during a ceremony can be hit or miss – so much depends on the way the spaces are used and how much room there is for interaction, but its always there. 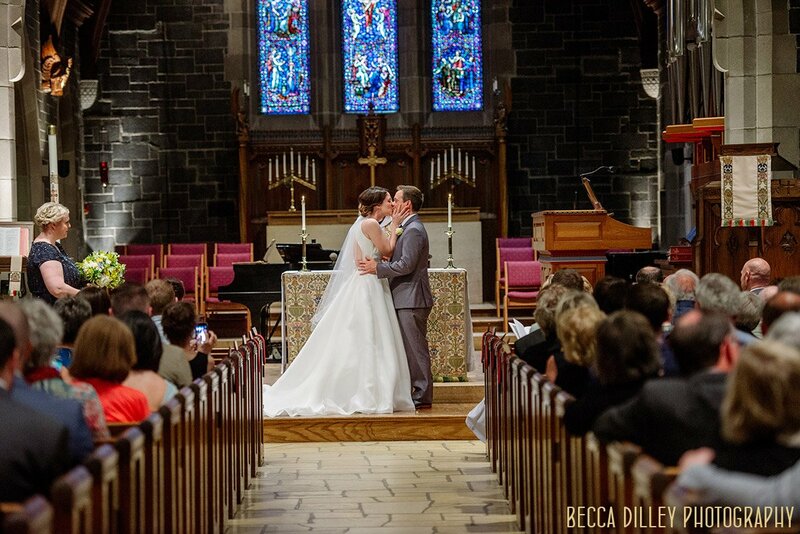 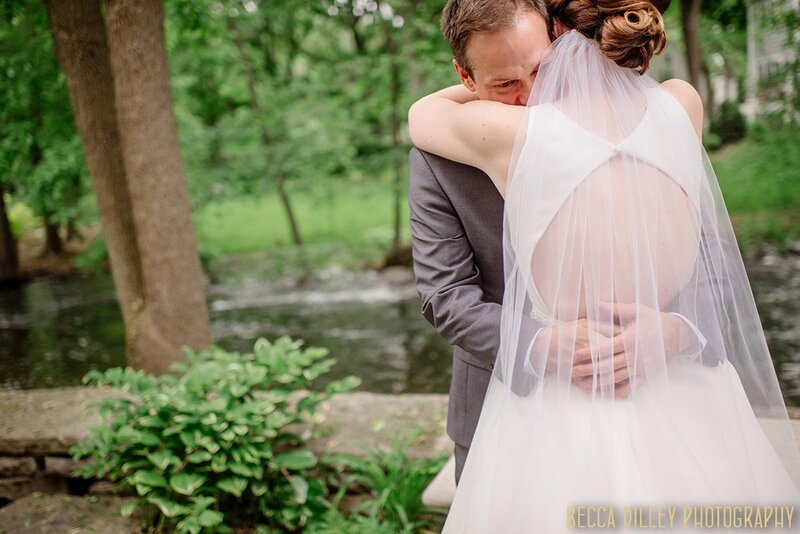 Sometimes people add “first kiss” to their list of must-have photos. 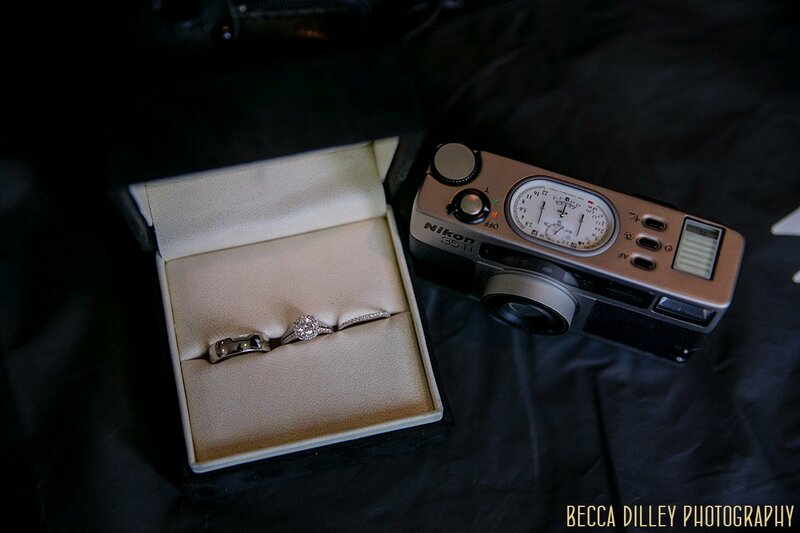 Let me tell you – I wouldn’t be taking photos of anything else at this moment! 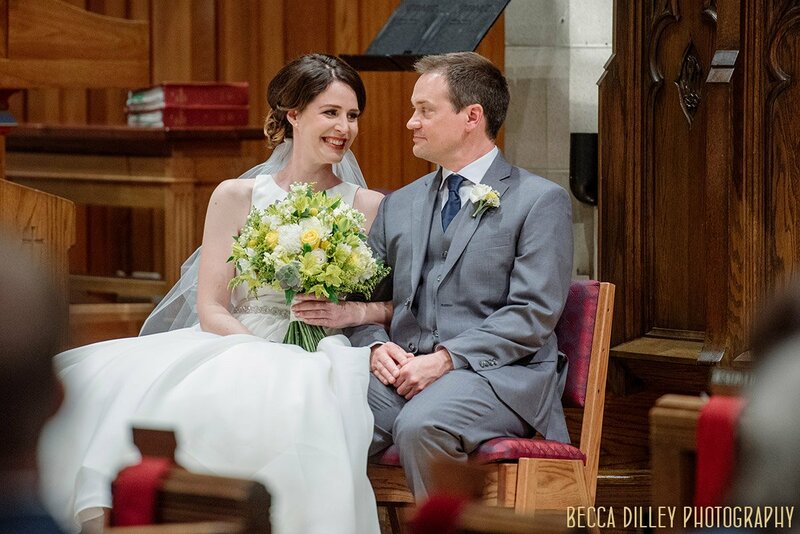 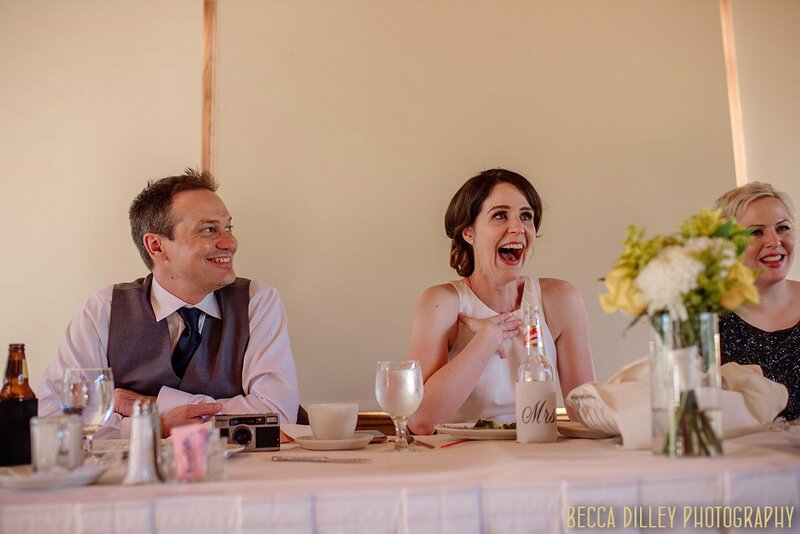 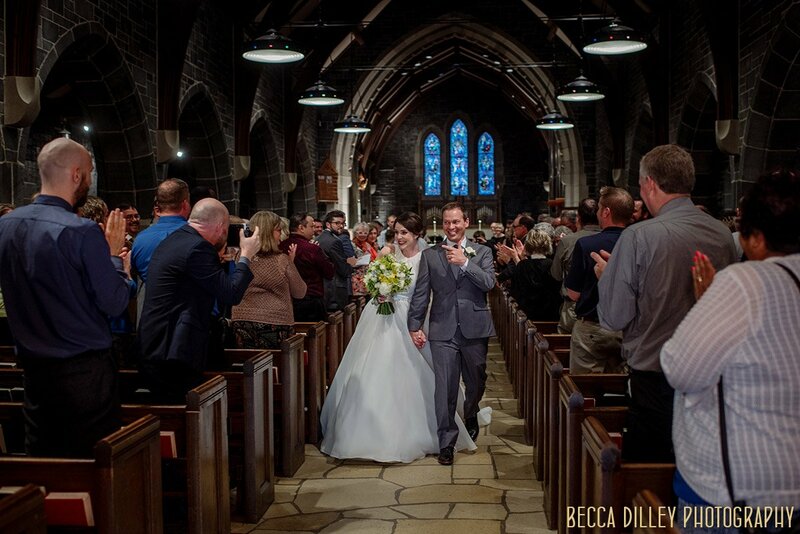 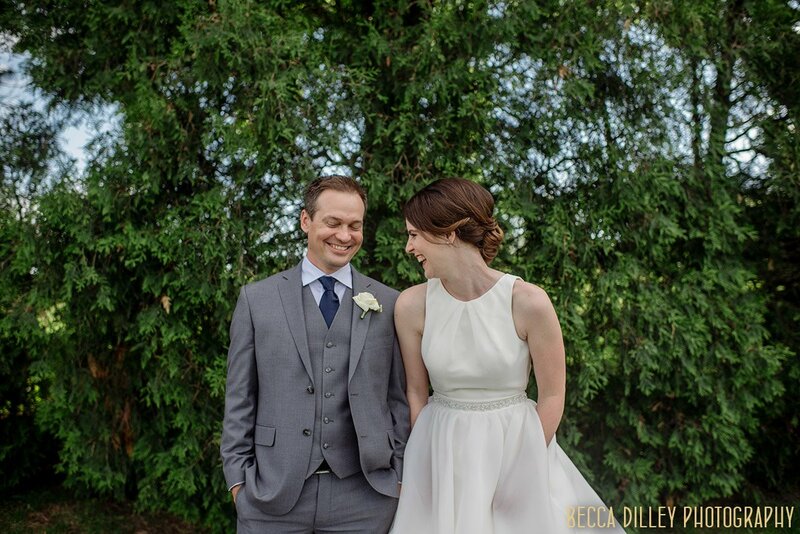 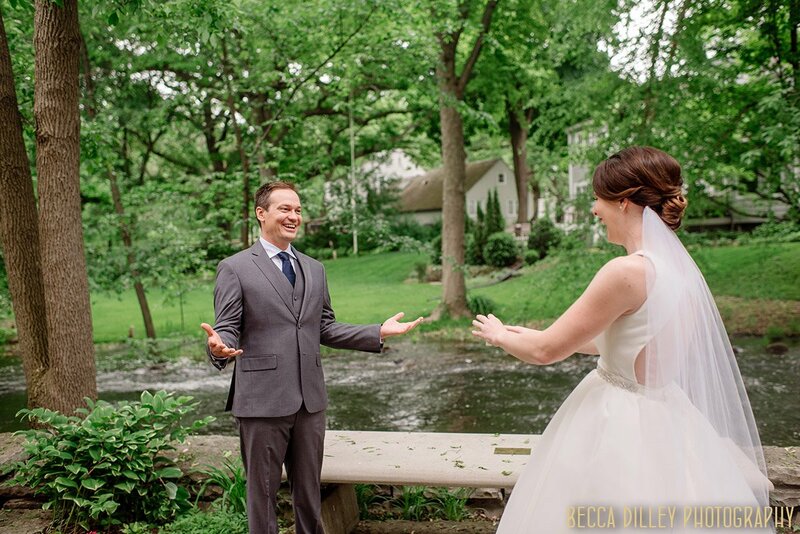 A quick jaunt around the grounds at Mendakota, and this is probably my favorite photo – Bethaney with her hands in her pockets, Adam in his dapper 3 piece suit, laughing together. 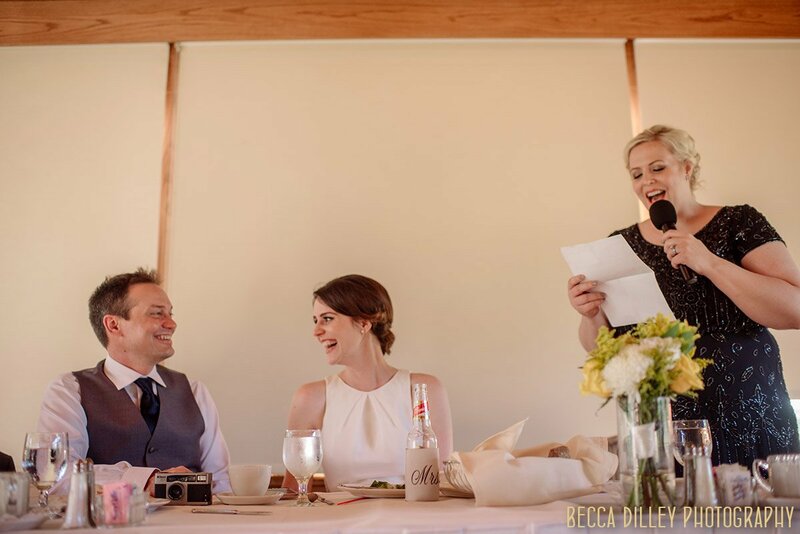 Thanks how you react to a toast about you!